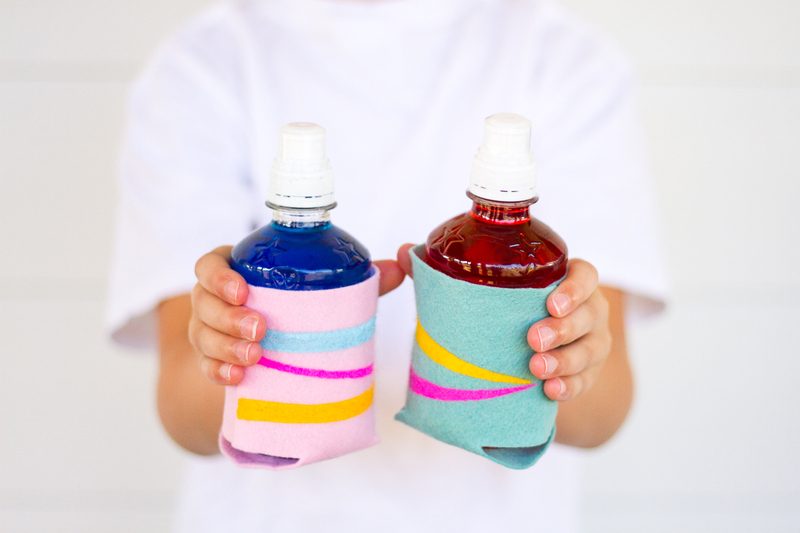 I don’t know about the kids in your house, but the ones in mine have been obsessed with koozies this summer! Any time they have something special to drink, they have to put it in a drink holder before they’ll take even a sip. Sadly, all of our drink holders are kind of boring; I think we won them in a raffle! 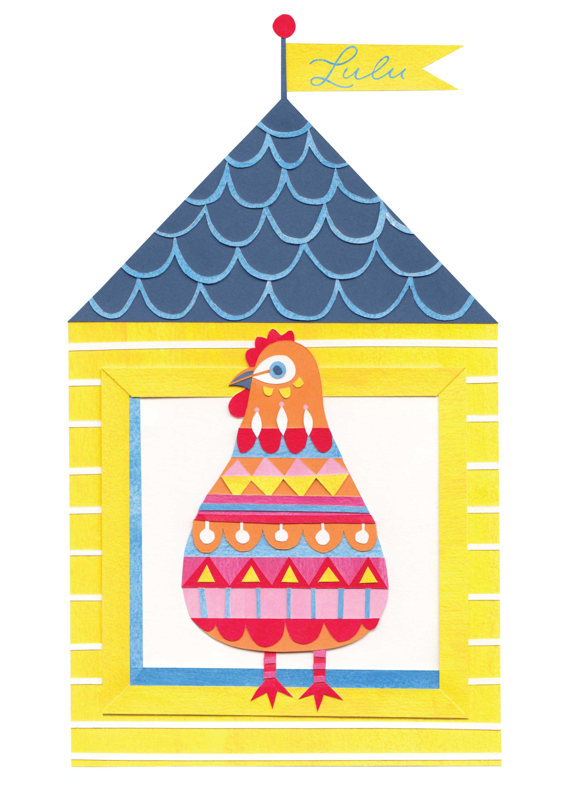 I thought it was high time we made a set that was a million times cuter. 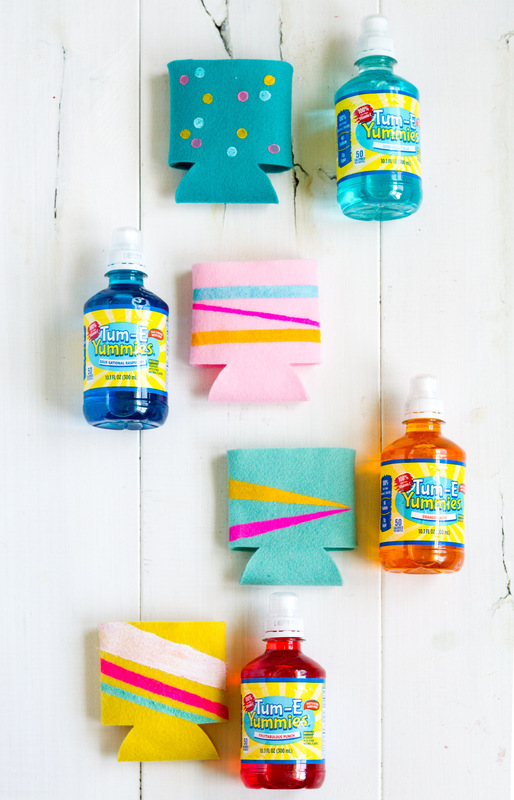 We got our design and color inspiration from the drinks my kids have been loving since the weather got hot—Tum-E Yummies! 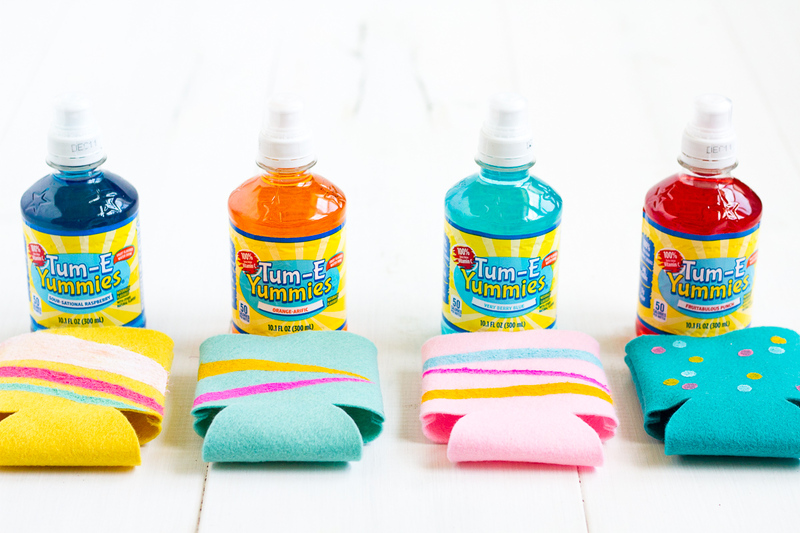 Tum-E Yummies are kid-friendly water beverages that comes in fun fruit flavors like Orange-arific and our favorite, Very Berry Blue. 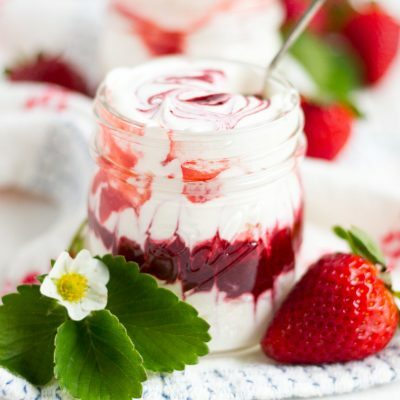 The kids love them, and I love that they are high on vitamins and low on sugar. 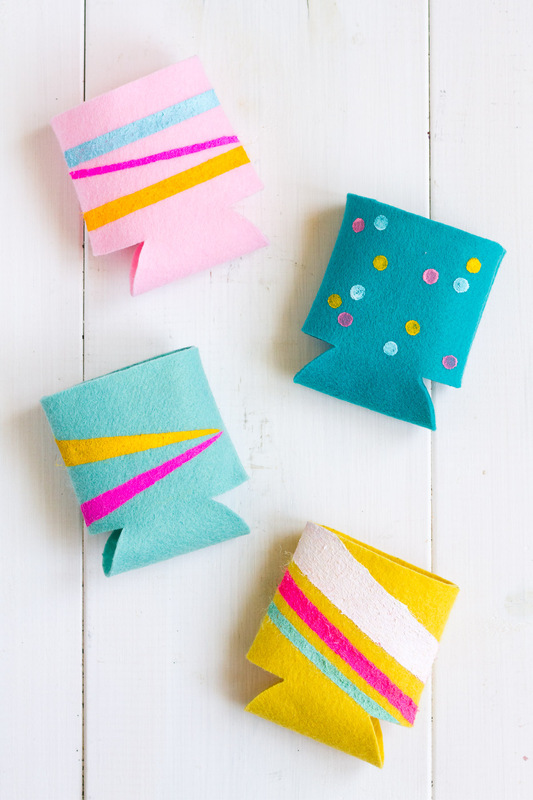 Our cozy drink holders are made with my favorite wool blend felt. It is thick and soft, and comes in a ton of pretty colors. 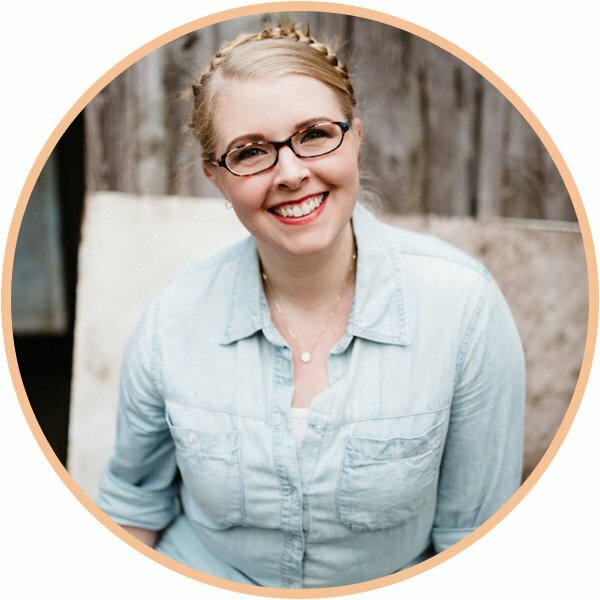 I get mine from two different places: Benzie Design and Prairie Point Junction. One of my favorite things about crafting with felt is how easy it is to work with. 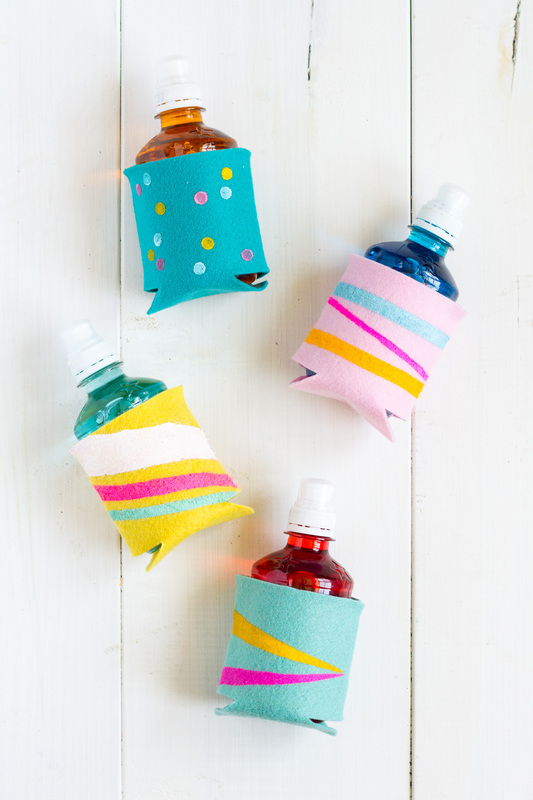 It doesn’t tear or unravel or fray at the edges, so it’s perfect for no-sew projects like these drink holders. 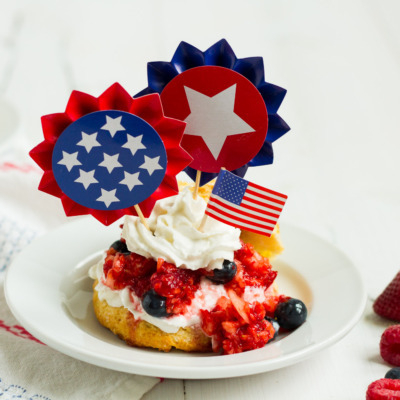 Once they’re put together, you can decorate them with a little tape and paint, or let your kids each paint their own. 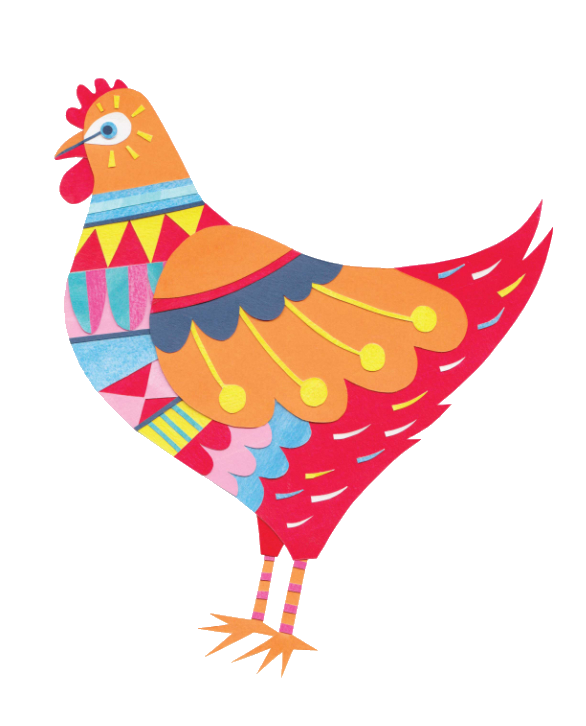 This project is a great one for kids with a little adult supervision. 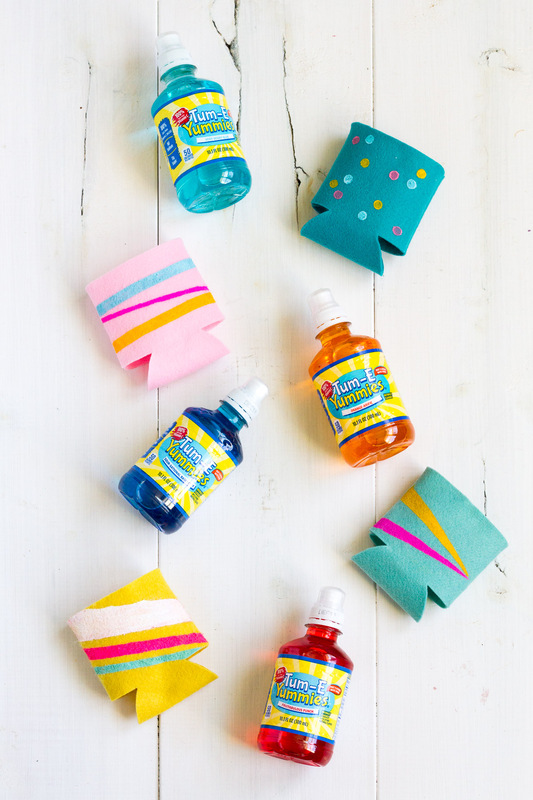 Older kids and teens can carefully do all the steps themselves, and younger children will have fun painting and decorating a drink holder once it has been assembled for them. 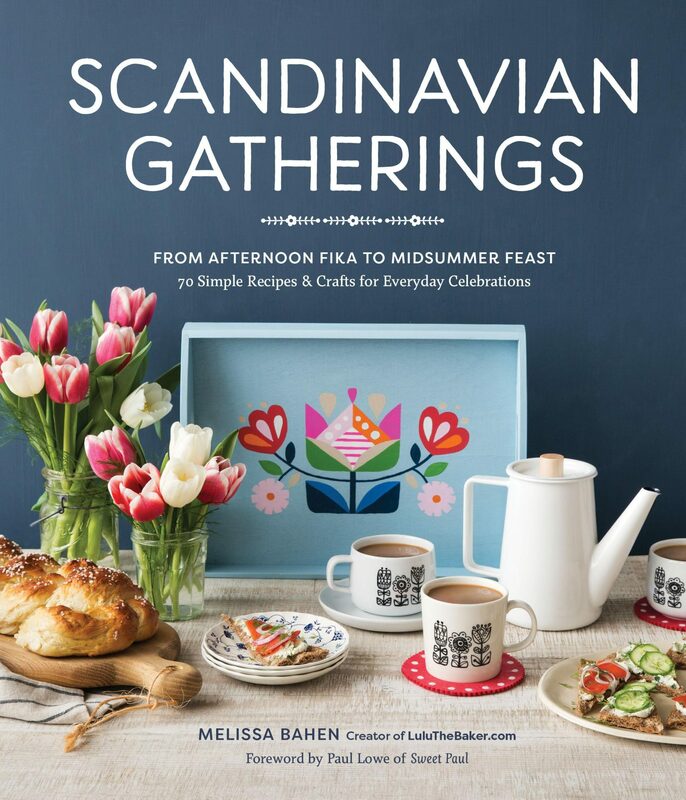 It would make a perfect hot afternoon or rainy morning summer craft project. 1. 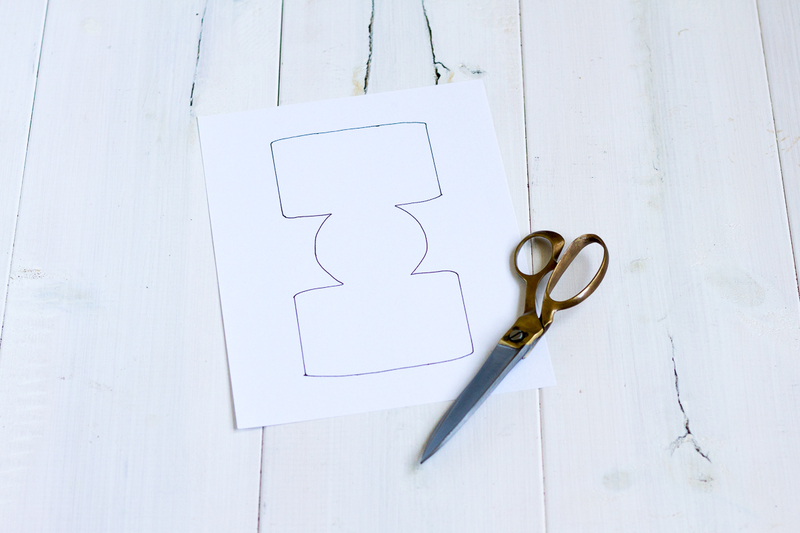 Click the link above to access the DIY cozy drink holder template. Download it and print it on card stock at 100% (full size). Cut the template out along the solid black lines. This size of drink holder is perfect for mini beverages like the Tum-E Yummies my kids have been enjoying this summer. You can also use this template for taller beverages by adding an extra inch in length to each end of the template, making it almost the exact length of a piece of 8.5×11″ paper. 2. 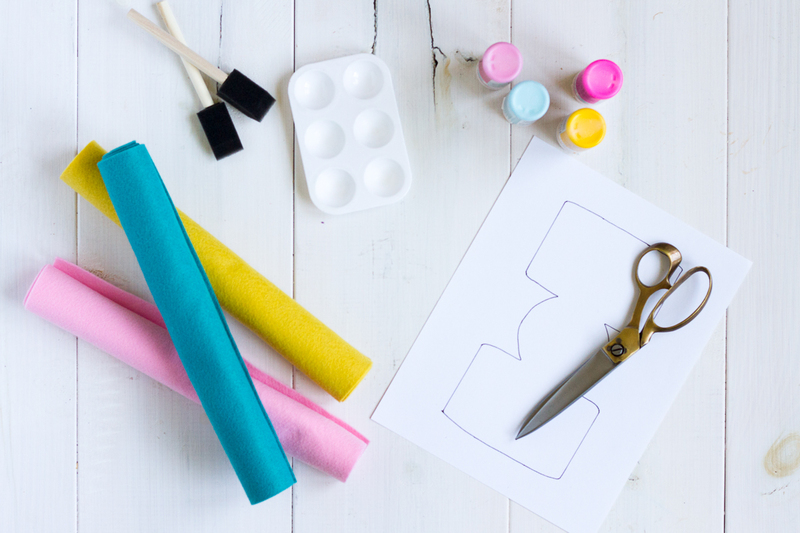 Lay the template on top of a piece of wool-blend felt, and, using a fine-tipped ink pen or permanent marker, carefully trace the template onto the paper. Cut out the felt. 3. 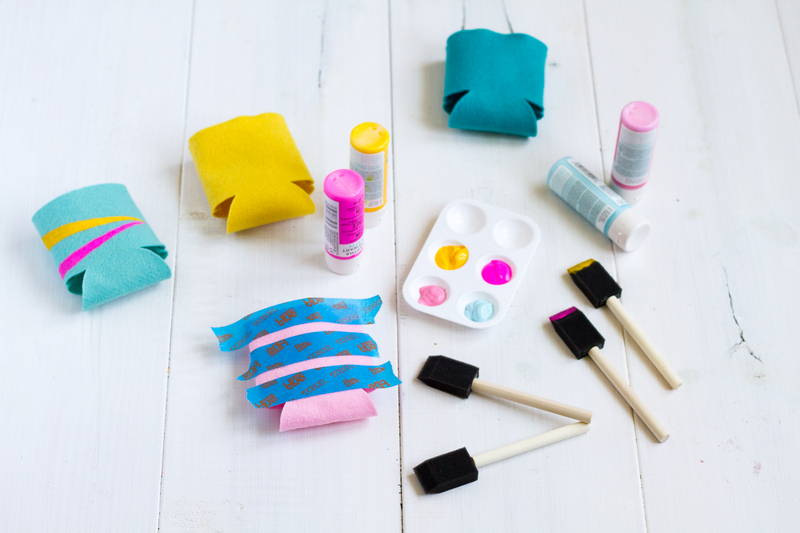 Figure out which side of the felt you want on the outside of your drink holder. 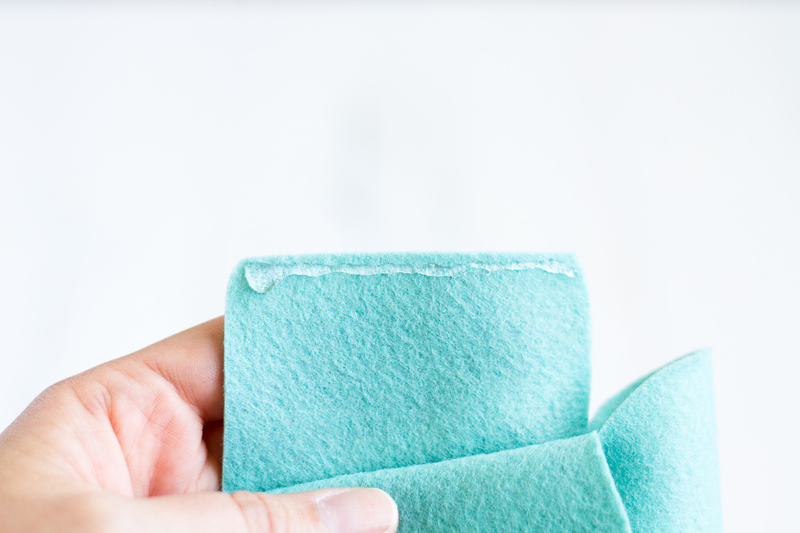 Fold the felt in half so that the side you want to end up on the outside is actually on the inside. We’re going to call this a felt sandwich for just a minute. 4. 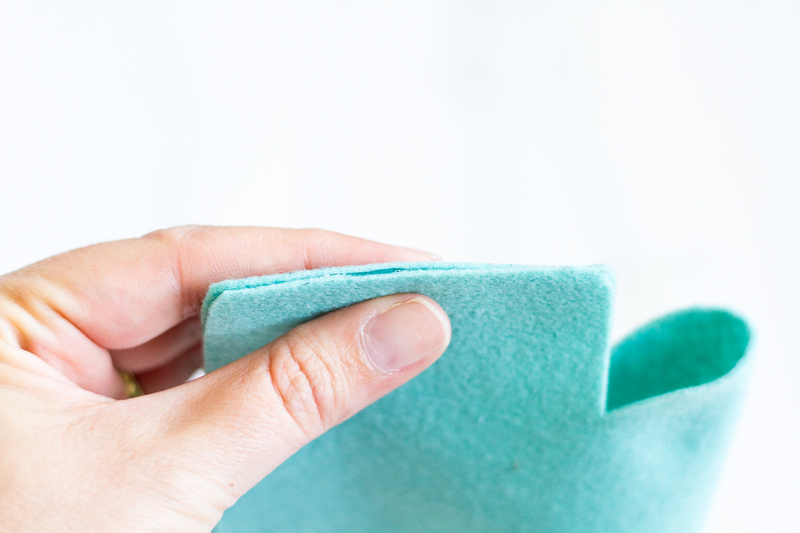 Open up one side of your felt sandwich and put a thin line of hot glue down one straight side. 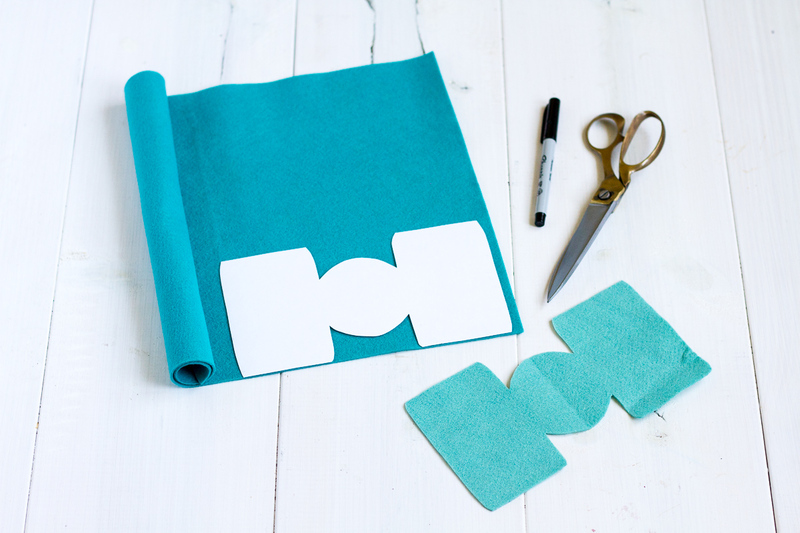 Line the edges of both sides of your felt sandwich up again, and gently press them together while the glue sets. Repeat on the other side. 5. You should now have both side of your felt sandwich glued shut, but the top should still be open. 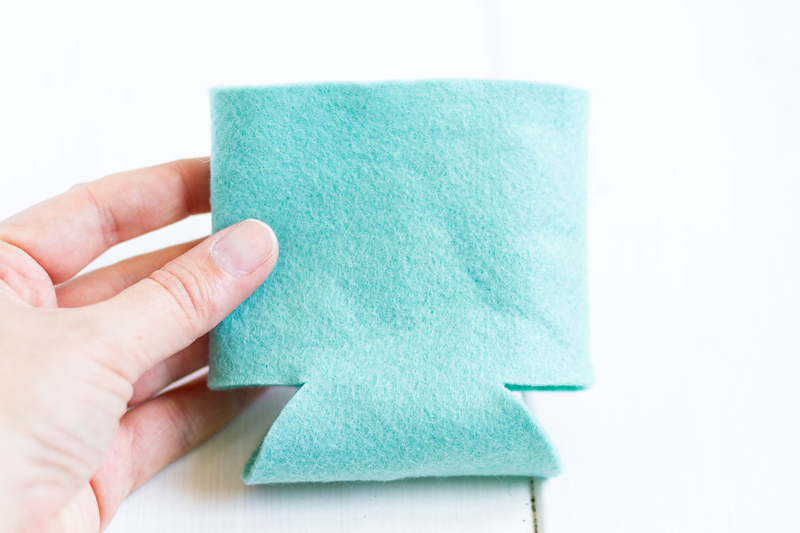 When you are positive that all the glue is cool and set, gently turn your felt sandwich right side-out. 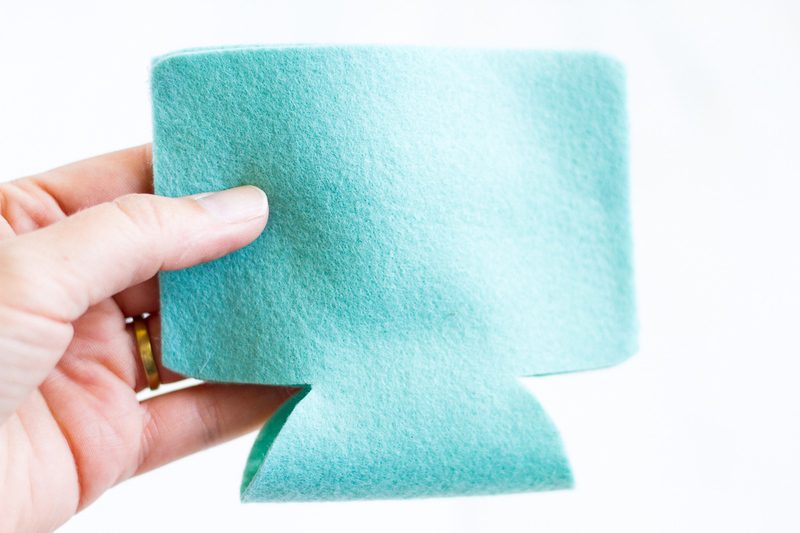 Now your felt sandwich has magically become a cozy drink holder! 6. 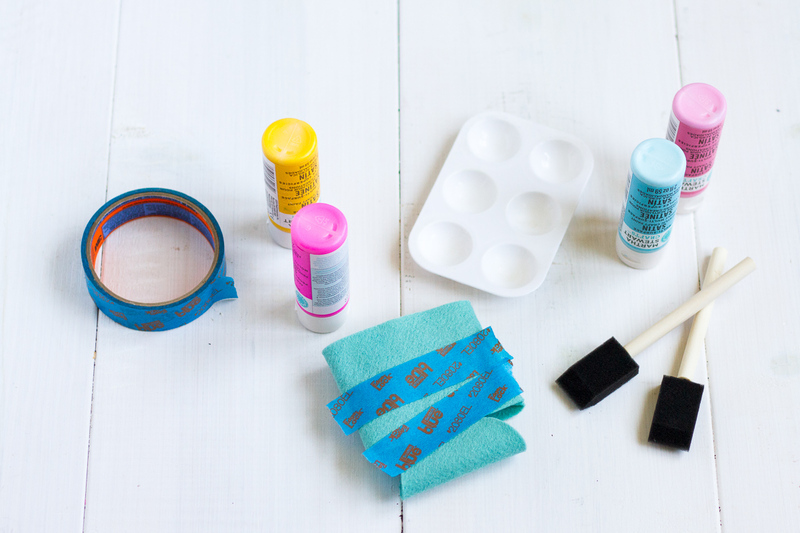 Use masking tape and acrylic craft paint to create fun designs on your drink holders. 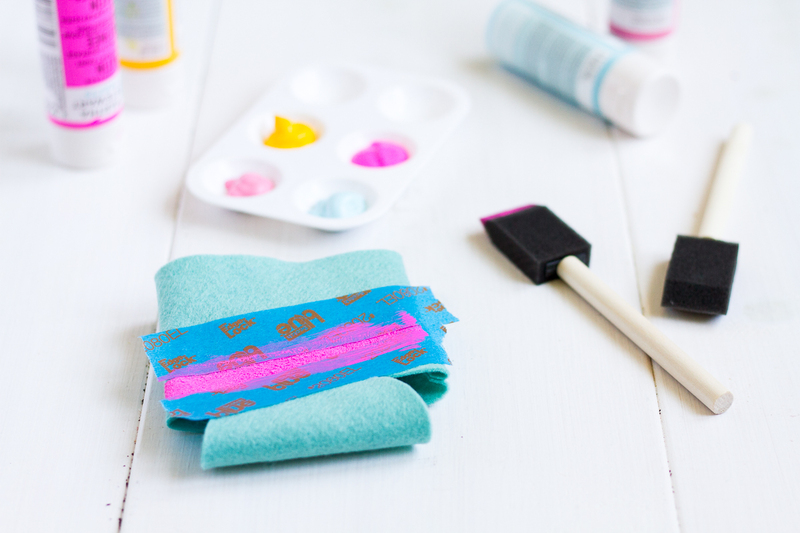 Allow the paint to dry completely, then pop in your drink and enjoy! 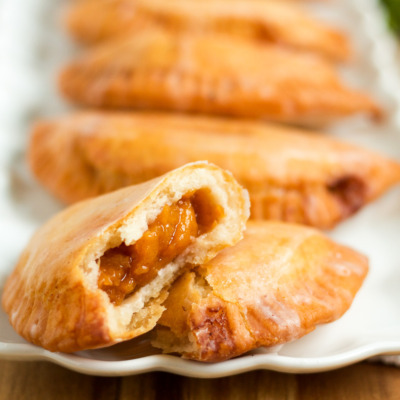 This post is sponsored by Tum-E Yummies. All opinions are my own. 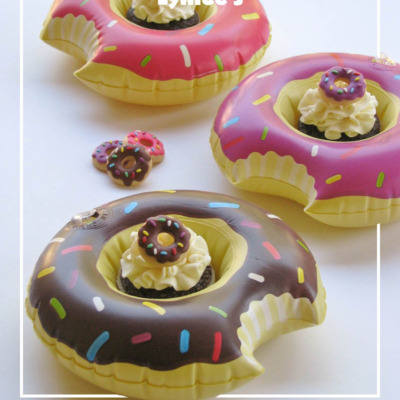 Thanks for supporting the brands that help make Lulu the Baker possible.